Posted: Thursday 30th April 2015 in Owned and earned media, Thought Leadership. 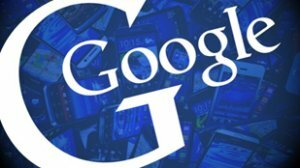 It’s happened… after months of talking, Google’s mobile algorithm began rolling out on April 21st. For the first time ever, Google announced an update to their algorithm in advance, giving Webmasters and retailers alike plenty of time to adapt with a responsive or mobile specific website. The update, which has been dubbed ‘Mobilegeddon’ by the industry, was specifically aimed at mobile search results, giving preference to mobile-friendly websites. So, one week on from Mobilegeddon, what impact have retailers seen? Those retailers who have not made an effort to improve their website will likely have seen a drop in mobile-specific rankings. A drop in rankings on mobile devices will lead to a decline in traffic and ultimately a drop in revenue. On the other hand, those retailers who have ensured their site is deemed mobile-friendly by Google’s Mobile-Friendly Testing Tool will have seen a positive impact on their mobile rankings, traffic and revenue. Mobilegeddon was built up to be the biggest Google algorithm update ever. Many industry experts however are less than impressed with the results so far, as explained in Search Engine Land’s, one week on post. What impact have we seen across the retail sector? At Summit, online retail expertise is at the core of our business. So we spent some time studying retail websites to discover if they are considered mobile-friendly or not by Google’s Mobile Friendly Testing Tool. Therefore, sites that are not labelled mobile-friendly are clearly experiencing a drop in Google’s mobile search results. For those who are not aware, the Google mobile algorithm is a live update meaning any improvements made to a dedicated mobile site or a responsive website will help improve mobile search visibility as soon as the site is re-indexed. Work on reviewing and implementing the suggestions in our previous post. When you have made the recommended improvements to your retail website, re-submit your website using Google Webmaster Tools (this action will ensure your website is re-indexed as soon as possible). If your retail site is not responsive, go responsive! If your responsive site is not mobile-friendly or you have a separate mobile site, we advise looking to make the move to a responsive designed site as soon as possible. The reason for this is simple: having one, responsive website will eliminate problems of duplicate content across 2 domains while also reducing workload, with just one website to manage. If you need help formulating a plan or strategy, tackling the task of optimising your website or perhaps building a new website please contact Dave Trolle on 01482 876876.